A favorite dish of the Mediterranean, the Middle East and Western Africa. This dish has migrated to the Southern United States by the Creoles and Cajuns. This is comfort food at its very best. Sopping up with bread is a must! • 	1 lb stew meat (lamb or beef)**Note: Can be made meatless, but the overall flavor will change. In a large saucepan, brown meat with olive oil. Add onions and garlic. coriander, salt and pepper, and allspice. Add water and tomato puree. Stir and combine well. Add okra and bring to a boil. Reduce heat to low and simmer for 2 hours, or until meat is tender and done. The sauce should thicken as it cooks. If it does not, add 1/2 cup all purpose flour. 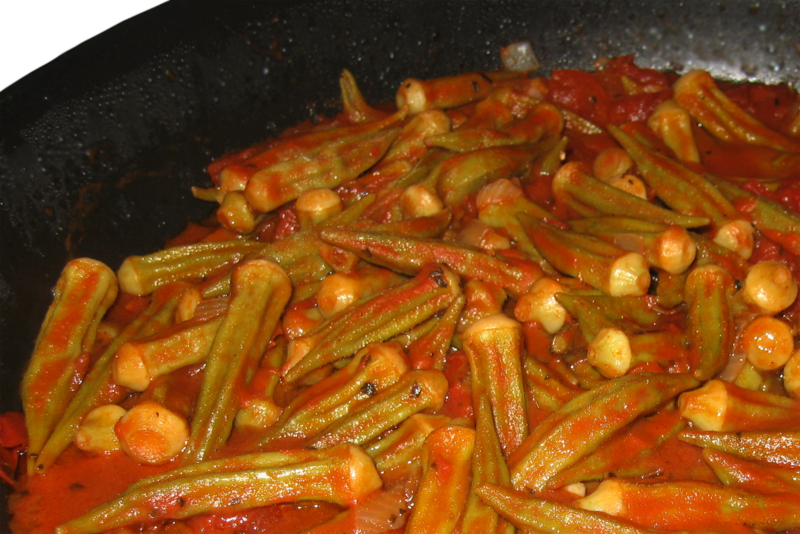 Serve bamia with white rice and a salad.